It’s all go for DS at the moment. The brand shouting from the rooftops that it is now separate from Citroen is actually living up to the hype. The new-for-2016 DS3 was revealed amongst much pomp and ceremony in Paris at the beginning of the year, but we couldn’t drive it. It was a ‘static’ uncovering only. It looked great – outside and in – but the new DS3 media drive happened closer to home – in London. And there was still an element of glitz. The DS buzz was centred firmly around the Greenwich Peninsula – starting off at ‘Intercontinental London – The O2’, a recently-built, luxury hotel next door to the O2 Arena. Obtainable as a three-door hatch and Cabrio, the price-tags range from £13,995 to £22,495 for the hatchback and from £16,295 to £24,795 for the Cabrio. The 1.2 litre turbo petrol power unit is sprightly and co-operative. According to DS’ official on-paper figures, the 130 will do zero to 62mph in 8.9sec, but it feels faster in the real-world. It hauls itself forward with gusto between the 2000rpm and 5000rpm power band, with only a smidgen of turbo lag detectable. This delay in delivery is so fleeting, though, that it is far from bothersome. What’s more, the powertrain under the bonnet whistles a pleasing, discreet ditty when pressed hard, yet it calms down when the drive becomes more docile. The 130 hatch’s engine is so on-the-ball to respond that the clutch foot and left hand can rest, due to the lack of gear shifting required. When a change of cogs is necessary, the gear shift provides a satisfying motion. Take advantage of this gratifying drivetrain blend along with a winding rural route, as I did on my route between south east London and West Sussex, and you will carry a veritable velocity between bends. Then again, an amalgamation of understeer and body roll can chip away at the excitement – but only by a fraction. The compromise is a car with a good driving position and a ride that is comfortable. Windblast and tyre rumble curb refinement a little bit, though, and the steering, while quick to respond, could be less restless at motorway speeds. 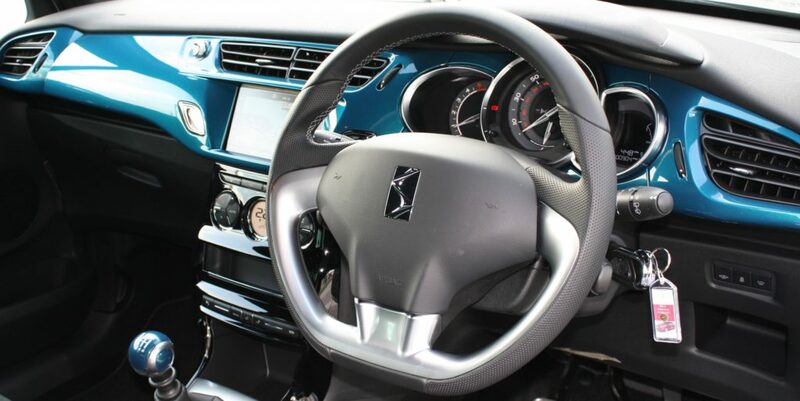 Step inside the DS3 and you can’t miss the up-to-the-minute central seven-inch touchscreen. The best thing about this is that it gets rid of many of the buttons. There are 20 less than the former model. This makes the centre console look far tidier. There are spoonfuls of style in the cabin and there have been enhancements to materials. The seats, in particular, have a quality feel. The cabin plastics are, in the main, solid, but the below the knee panels and the glovebox lid look like they might graze easily over time. Occupant-wise, this supermini will seat five people. 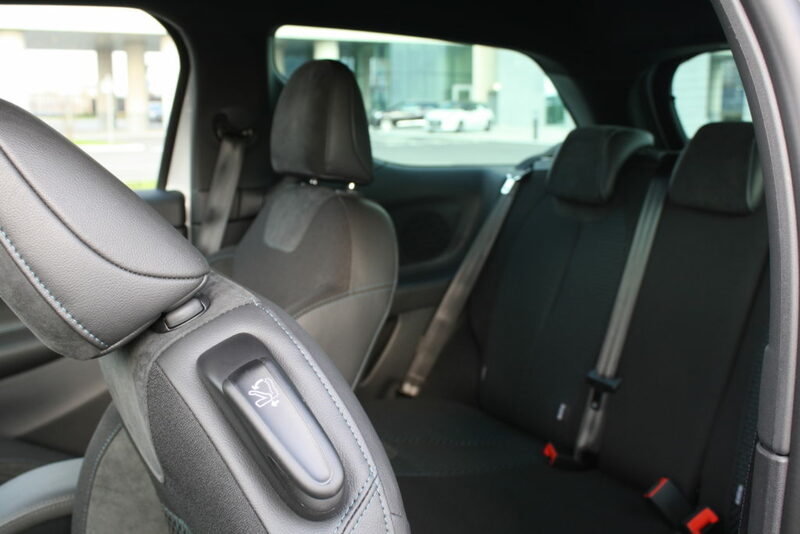 Granted; a six-foot-tall adult sitting behind another of similar height will find leg and headroom limited, but the room is considerable for this class of car, and the boot holds a respectable 285 litres, ballooning to 980 with the rear seats folded over. The modestly priced DS3 PureTech 130 petrol provides a more stimulating drive and its lively lick is great for dashing in and out of hectic city traffic, particularly when coupled to the slick-shifting six-speed manual transmission. It is not quite as fuel-sipping as the above-mentioned oil-burners, but it is still well-matched to urban living. The 2016 DS3 is well-made, although it’s not Audi A1 quality. That said; it really isn’t a million miles away from the German supermini’s. It is far prettier, though – and way more experimental in the looks department. Boundless personalisation possibilities mean that you can modify the DS3 to suit your every quirk, whether that means, for example, having stripes or spots on the outside and a deep-purple or pea-green dash on the inside. 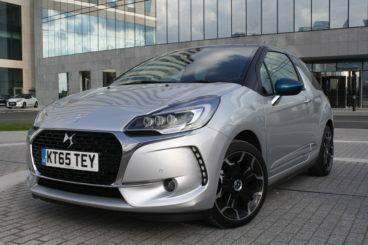 Add some entertaining and economical engines to the mix and the French DS3 is a bona fide candidate for a gold medal. The new-for-2016 car has come to British showrooms with a windscreen sticker price starting at £13,995. 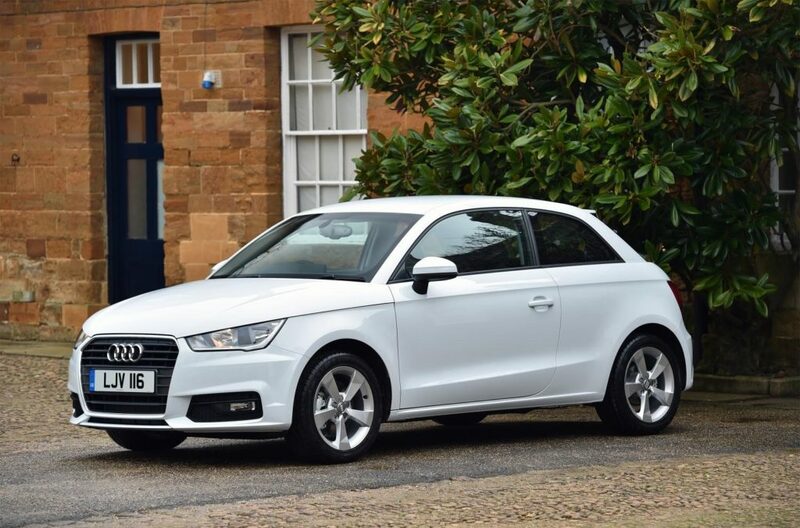 That cost is very reasonable compared with the £14,530 you will fork out for key opponent, the aforementioned Audi A1. It is also cheaper than the £14,075 you will pay to get into an entry-level MINI One Hatch – its other main nemesis. Even though unlike the others, it is only being offered in three-door guise, pragmatism is way up there with its two major challengers. It outdoes both in terms of load space, while rear occupants are given respectable amounts of room. So let’s start by comparing the 2016 DS3 with the Audi A1. The A1 is perceived as the most premium car in the supermini segment. 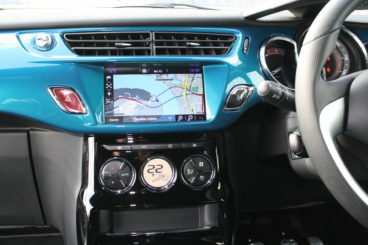 Its sophisticated, polished cabin feels comparable in class to a managerial-level company saloon. And, while a basic A1 is over £500 more than a rudimentary DS3, we feel it is worth every pound. While the A1 is perhaps not as striking as a MINI or DS3, it is certainly a classy and discreet vehicle. There’s a choice of three-door and five-door body styles, but the Audi doesn’t provide a soft-top choice to match the DS3 or MINI, which are both available as roofless rides. The German car maker offers the A1 with a selection of diesel and petrol power units, all of which give a good fusion of fuel economy and performance. Yet, the driving experience the Audi gives is bland compared with the feeling you get when behind the wheel of the DS3 or MINI. It can’t be customized to the same extent as the MINI or DS3, either. The BMW-owned brand has gone the extra mile for this little one. Not only is the MINI larger and more cultivated than it used to be a few years back, it has a range of strong turbo-charged power plants, plus some state-of-the-art large car equipment from its Bavarian-based parent company. The MINI is on a par with the DS3 for external and internal styling add-ons, and it may be bigger than in the past. 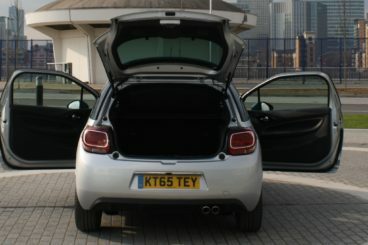 But, the MINI still struggles for space; its rear seats are cramped and its load area is minuscule. 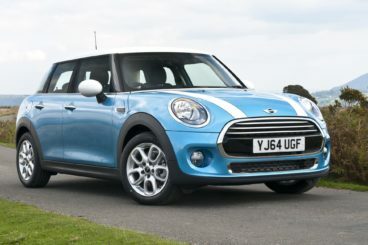 However, the MINI is refined and it is fun to drive, thanks to its renowned go-kart-like steering. And while it’s not low-priced to buy, it costs peanuts to run. But, as alluded to earlier, the DS3 is just as stylish and well kitted-out. And, perhaps more importantly, it is equally, if not more, enjoyable and refined to drive. Indeed, the MINI is not as stirring as the DS3 dynamically. Sure, the precision-steer of the MINI is absent from the French motor, but that doesn’t rain on the DS3’s overall parade. In fact, the DS3 is just as capable as the MINI in most areas, and it is cheaper to purchase. Really push it into bends and there is hardly any rear end movement in the DS, but the MINI never feels quite as self-assured. Certainly, the MINI One Hatch holds its own in most respects, but, it can’t quite match the newer and less-expensive DS3’s wide-ranging capabilities. All three cars are great superminis. However, if you go with the DS3 you will be extremely contented. It looks wonderful, it drives sharply and it is competitively priced. The French-made car is roomier than the MINI. It seats five, while the MINI seats four and the A1 comes standard with four seats. The DS3’s boot is the biggest of the bunch, offering 285 litres of space, while the MINI’s boot size measures only 211 litres. The Audi A1’s is the piggy-in-the-middle with a load capacity of 270 litres. As mentioned earlier, a refreshed DS3 Cabrio has also been launched. 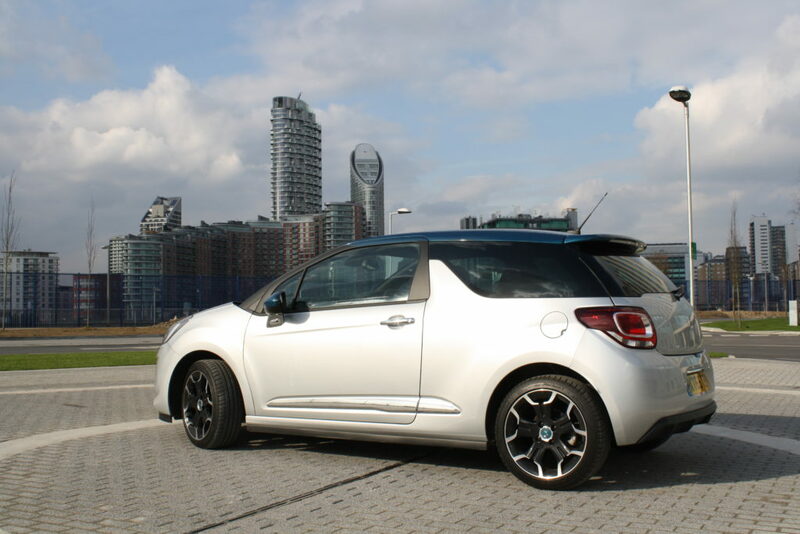 The roofless DS3 looks brilliant and is more practical than the corresponding non tin-top MINI. The recently released 2016 MINI Convertible just about fits four-up, unlike its more cramped forerunner, but the latest DS3 Cabrio, like its hatchback sibling, seats five-up. The new MINI Convertible’s boot is 215-litres, but the DS3 Cabrio’s is 245 litres. The 2016 DS3 can’t quite equal its two main opponents for high-class badge appeal, but the DS3 is great value, offers a compelling ride and it is spacious. 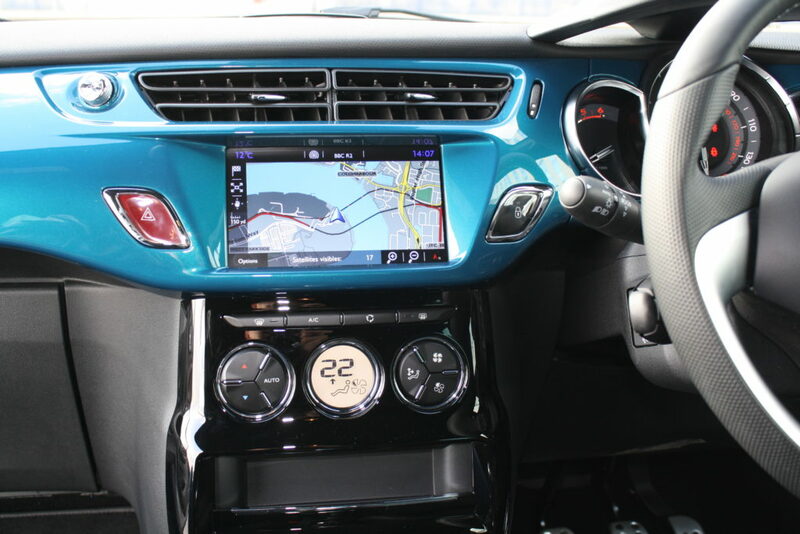 In addition to this, it is available with a portfolio of personalisation preferences, and performance is gutsy. Other cars to consider are the Fiat 500 and the Abarth 500. The Abarth is a more potent version of the Fiat, and both ooze Italian style. The only downside is that these models are smaller than the DS3, hindering practicality. We also like the Renault Clio and Ford Fiesta. Both are spacious and offer a good drive, but they lack vogueish appeal. So should you buy the DS3 PureTech 130 Prestige? 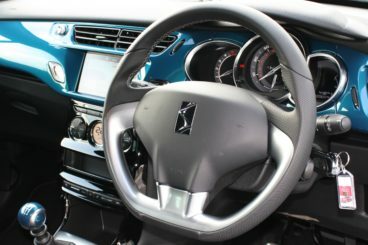 If you are tantalised by the DS3’s quality-brand values and natty looks, the avant-garde Puretech 130 is a must-have choice. It houses an exuberant engine that is enjoyable when you want it to be, and sits back on its haunches obediently when you need a calmer pace. There may be even perkier performing, more down-to-earth and lower-priced supermini hatchback choices on the market, but with multi personalisation options and a pick of both Cabrio and hatch body forms, the DS3 is a wholesome small car, bursting with joie de vivre. Fill out the form below with your details, including whether you’re looking to lease or buy and we’ll give you a quote within 2 hours.